Clothing with vulgar or profane writing or pictures is not allowed. Use of angry or vulgar language including swearing, name calling or shouting. Making physical contact with another person in any angry or threatening way. Harassing or intimidating by words, gestures, body language or any other menacing behavior. Stealing or other behavior which results in the destruction of property. Using or possessing illegal chemicals or alcohol on Black Bear property or in vehicles. No Smoking. Black Bear offers a smoke-free environment for its members. Cell phone usage for picture taking is prohibited. Member-to-Member personal training is not allowed. All personal training is to be performed by a Certified Personal Trainer. Members using audio or visual players (including phones, tablets or other AV devices) must use headphones. Removal of club property from the premises may result in the termination of membership privileges without refund. Water and sports drinks are allowed in spill-proof containers. No solicitation by members or guests is permitted without prior written approval from management. Members and guests are encouraged to be responsible for their personal comfort and safety, and to ask any person whose behavior threatens their comfort to refrain from doing so. If a member or guest feels uncomfortable confronting the person directly, they should report the behavior to a staff person immediately. Members and guests should not hesitate to notify a staff person if assistance is needed. Way back in 1978 Rick and Katy went on a first date. During that very first date they discovered their mutual interest and desire to one day open a gym. Fast forward 20 years. Both lifetime fitness enthusiasts and disenchanted with the corporate world, they took a huge leap of faith to follow their hearts....and Black Bear Fitness was born on March 14, 1998. 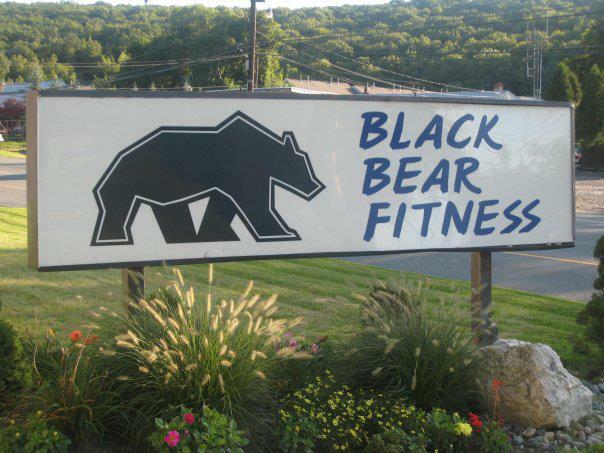 Black Bear Fitness has become a community of fair minded, fun loving and health orientated people. It is a supportive environment where everyone is welcome, comfortable and can thrive. Katy and Rick can be found teaching group fitness classes, personal training clients, working with nutrition clients or greeting members behind the front desk. With over 25 years of experience, Rick and Katy are excited to help you find and achieve your fitness goals.